El Amir plays Vivaldi’s Concerto in C major for Mandolin for the first time on greek Bouzouki. He has made a special adaptation for Bouzouki and it will be the first time to hear the complete version of this Concerto on this beautiful instrument. 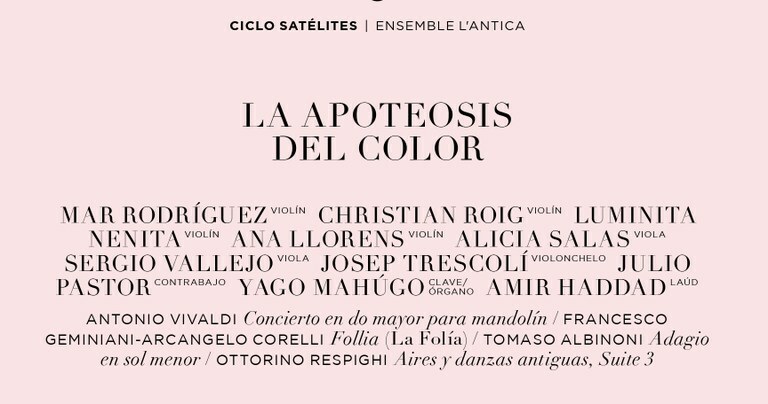 The debut will take place on the 6th of November at the National Auditorium of Music in Madrid accompanied by excellent musicians from the Spanish National Orchestra. El Amir was asked by one the prestigious violinists of the orchestra, Mar Rodriguez, after playing together in one of his concerts in Madrid. El Amir has already a very long career sharing with us his exceptional musical qualities playing and performing a huge variety of music styles. In Jazz we could see him perform with Marcus Miller, in electronic music with Juno Reactor (Matrix), World music with Radio Tarifa, modern Flamenco with Chambao, Funk Rock with Pepe Bao, Spanish song with Pasion Vega and Joaquin Sabina, Afro-Funk-Jazz with Armand Sabal-Lecco, Klezmer with Kroke, Arabic music with Naseer Shama, Spanish Folk with Eliseo Parra, Mediterranean Fusion with Zoobazar as well as his great career in the flamenco world where he was selected to form a powerful guitar tandem together with Jose Maria Bandera for the new project “Canción Andaluza”, Paco de Lucia’s posthumous album. El Amir is one of nowadays most outstanding and acclaimed Flamenco Guitar Soloists of his generation in Spain as well as a multi instrumentalist who knows how to surprise the audience with his differente musical facets and abilities to perform almost every music style on a very high level of virtuosity full of emotion and musicality.